Get £50 Xbox LIVE Credit and rent 'The Drop' in HD for only £42.99 at Wuaki. *I'm aware that this was posted over a week ago, but that deal has been expired for some time now. Credit goes to the original poster. Pretty sure that Gold can only be bought with money, but the likes of CD Keys are usually doing decent membership deals. why does this never work for me? The Drop is decent enough BTW, James Gandolfini's last film. Never lets me buy anymore, cant tell if if its my IP, my card details they've blocked for some reason or another problem. Never lets me buy anymore, cant tell if if its my IP, my card details … Never lets me buy anymore, cant tell if if its my IP, my card details they've blocked for some reason or another problem. Working again just now - 'something went wrong' message not appearing either. The £25 deal is always better for mathematical reasons. Only if you want to sign up with several different accounts. But, yes, if you do that then it's better. So it doesn't work to pay for Gold accounts. But can this credit be used buy Games on XBL? So it doesn't work to pay for Gold accounts. But can this credit be used … So it doesn't work to pay for Gold accounts. But can this credit be used buy Games on XBL?Like pre-order Tekken 7? Yes. 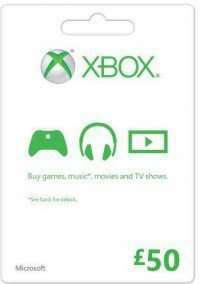 Can be used to purchase games, films (incl rentals), etc on XBL and Xbox.com. It also works on the Windows 10 store. Bought Resident Evil 7 on Windows 10 with this credit in the past. I want to buy 3 at £18.99. Do they just email you redemption codes, so you can use them all on one XBL Account?